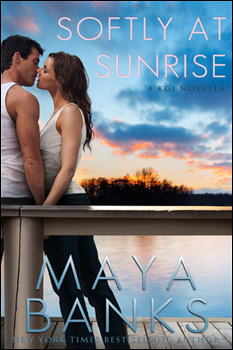 Since I am a great fan of the KGI series by Maya Banks, I was eager to read this book...and it didn't disappoint me! There is a teaser about P.J as well which made me all the more curious and impatient about the next book. To sum up ,this novella is a short romantic interlude between the other KGI series books and lovers of the series will surely love it ! I am glad you decided to join me here.Do drop by again. I am glad you decided to join me here. I am a new follower. I'm an author, not a reviewer. If you get a chance stop by my blog. Starting a giveaway on September 1.